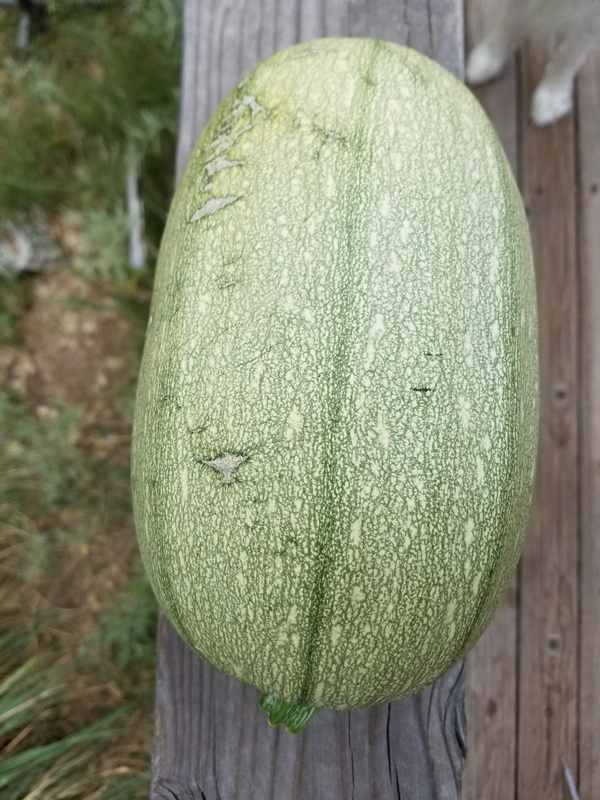 Oddly I have a plant that is producing two different colored spaghetti squash – one started as a green stripe and the other as a light cream. I have been checking daily to see if any were mature enough to cut off the vine and today the rind of the green one finally seemed hard enough. I’ve never seen a spaghetti squash this color before so it will be interesting to see what it tastes like. Three of the chicks are still alive and growing rapidly. 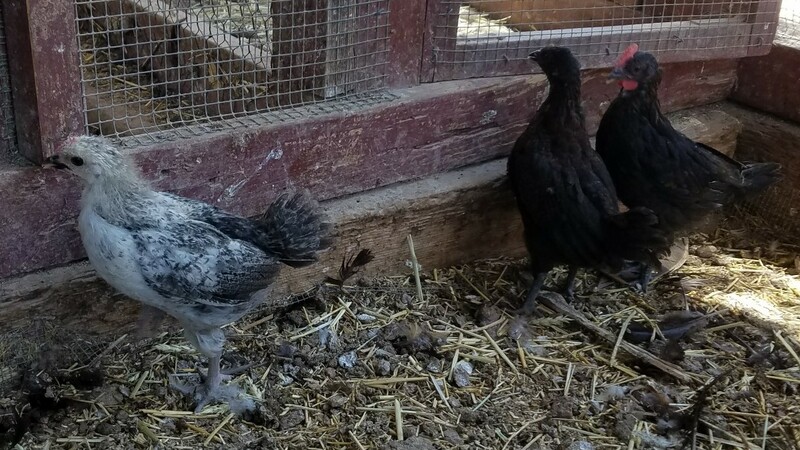 It looks like one is a Delaware cross (the rooster is a mix) and the other two look like Australorp crosses. This entry was tagged Chickens, Garden, Heirloom Vegetables. Bookmark the permalink.